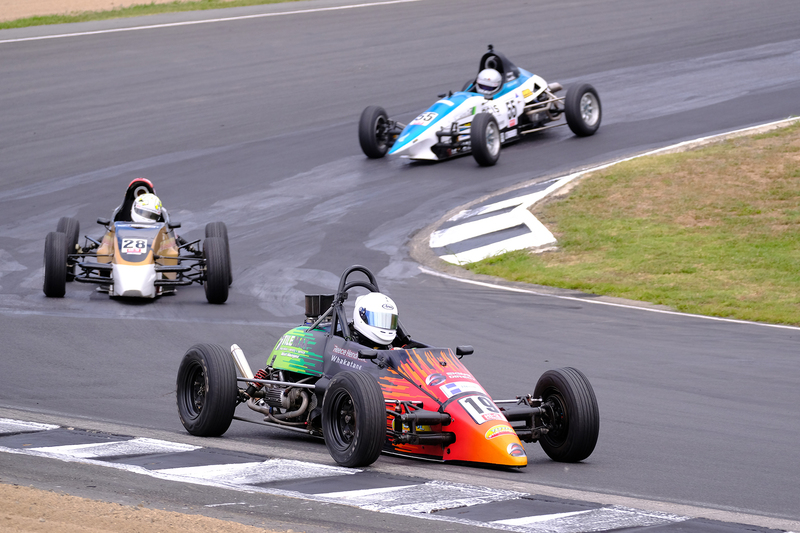 Reece Hendl-Cox has converted his pole position to a race win after taking race seven of the 2018/19 Hi-Q Components NZ Formula First Championship at Hampton Downs. In the relatively uneventful race, it was Chris Symon, using Brody McConkey’s car after another engine failure during a private test saw him unable to get his engine fixed in time, who finished second ahead of Amy Smith. An incident between Dave Scammell and Kyan Davie on lap four prompted a safety car which would last until the final lap where drivers were released for the final run to the flag. Liam Foster crossed the line fourth ahead of Thomas Boniface who would later be penalised for a restart infringement on the final lap. Billy Frazer inherited fifth, Thomas Boniface sixth, Taylor Hurst seventh, Ronan Murphy eighth, Bob Dillow ninth and Ron Carter tenth. Nathan Sudiono, Flynn Mullany and Rob Baker rounded out the field while both Scammell and Davie did not finish.